New York (AFP) – Ford on Wednesday reported a fourth-quarter loss of $112 million following weak performance in China and Europe. The US auto giant, which had notched $2.5 billion profit in the year-ago period, also cited $877 million in one-time pension expenses as a factor in the loss, which Bloomberg News said was just its second quarter in the red since early 2009. Revenues climbed 12 percent to $41.8 billion. Operating profits rose in North America following strong sales of larger vehicles such as sport-utility vehicles and pickup trucks. But Ford had $199 million in operating losses in Europe and a $381 million loss in Asia Pacific, driven by weak sales in China. The company also had operating losses in the South America and Middle East and Africa regions. 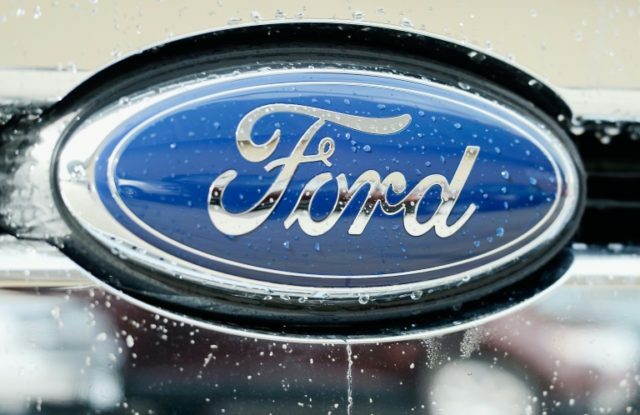 Ford last year announced it would halt production of almost all sedans and small cars in the United States to save $11 billion, and earlier this month announced a massive restructuring of its European operations to boost profitability, including thousands of potential job cuts. The company has also announced an alliance with Volkswagen to develop commercial vehicles and will explore joint opportunities with the German company in autonomous vehicles and other emerging technologies. “While 2018 was a challenging year, we put in place key building blocks to build a more resilient and competitive business model that can thrive no matter the economic environment,” said Chief Financial Officer Bob Shanks. Ford shares rose 0.6 percent to $8.39 in after-hours trading.